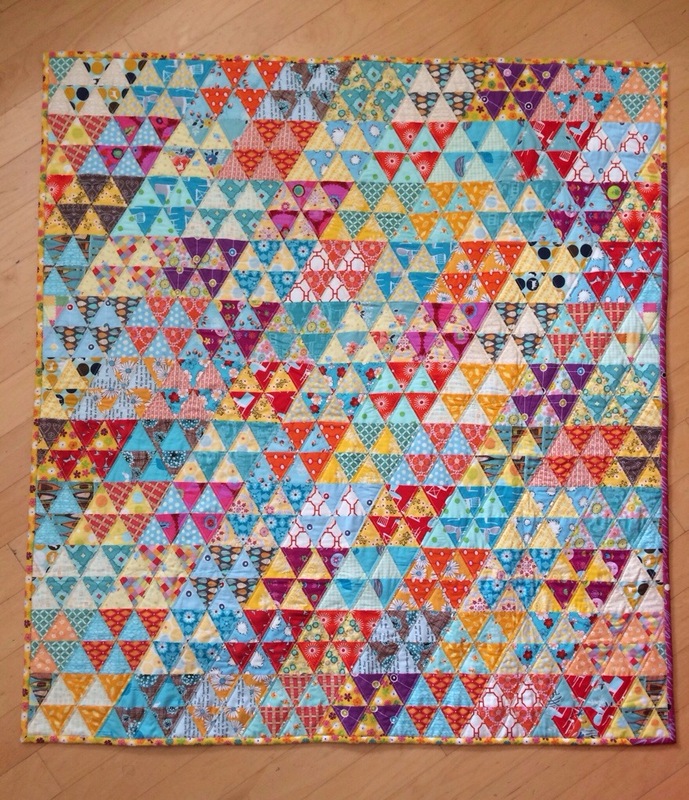 Yes, this quilt started as diamonds, but then turned into triangles. How, you might ask? A method similar to half square triangles, this would be half diamond triangles. 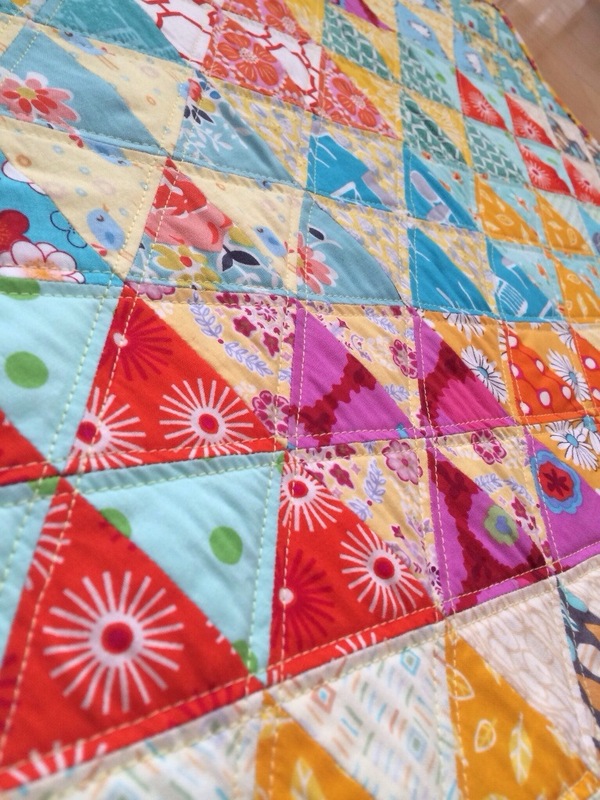 To be more specific… Remember this quilt? Of course you don’t 🙂 I made this one over a year ago, using a method (similar to this) to get 4 half square triangle blocks out of two squares. 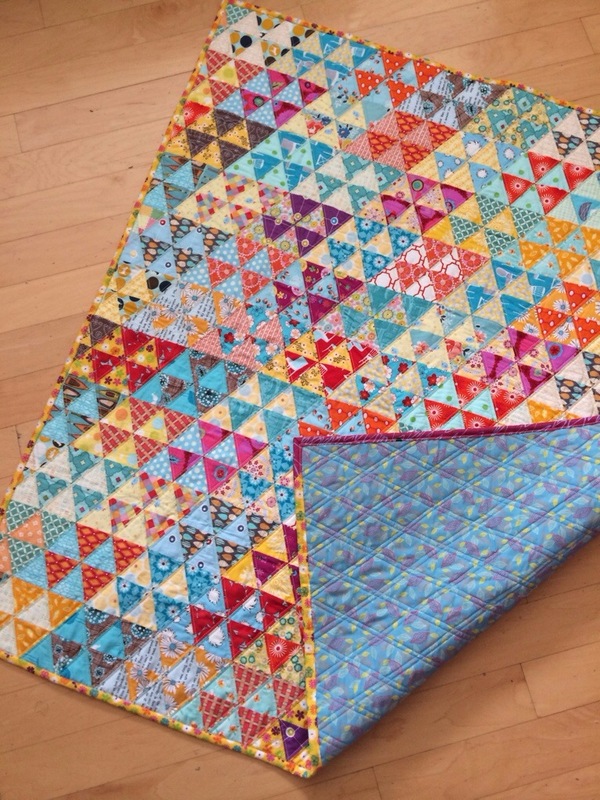 Similar to that, I made up my own method of sewing and then cutting up two big diamonds into 4 smaller half diamond triangle blocks. 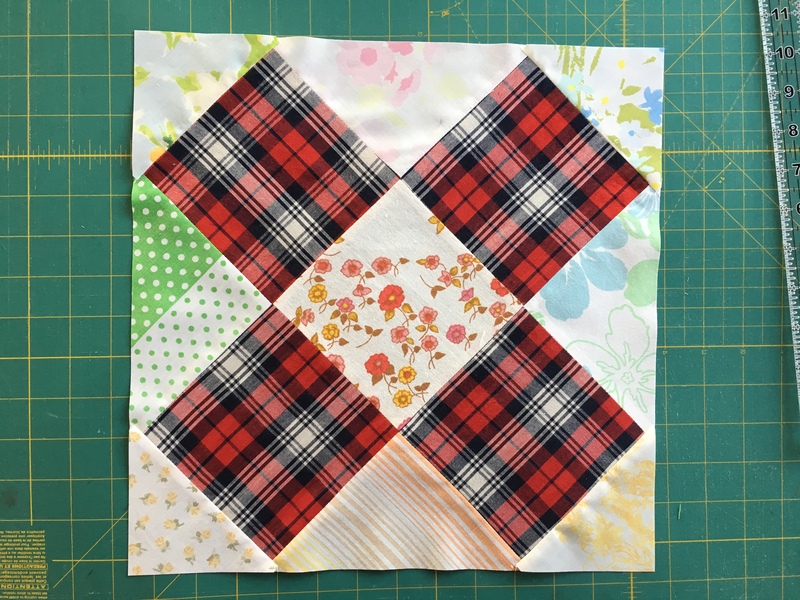 Put these 4 together, and you get a basic block for this quilt. I have taken pictures as I worked on this and I will post that soon. I promise. Original design for this was to use just half diamond square blocks, which would result in about twice the size of the triangles. But when I put those up on the design wall… it just wasn’t working. There was just too much of too big color. This was much better. I was lucky I started with diamonds that were big enough to get these triangles – they are only about 21/4 in on the side. If I had started with a smaller diamond, the triangles would have been too small. I had nothing in my stash for the back, and I wasn’t in the mood to piece it (never done it, really) so I went to my local fabric store and got this blue fabric. It has all the same colors I used in the top but they are a little muted. Not the best choice, but there it is. 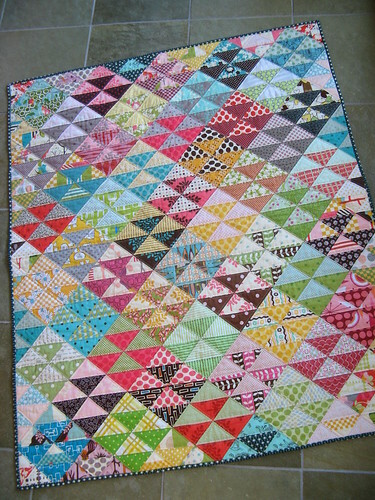 I finished it by quilting 1/4 on both sides of diagonal lines. Finished size: 43 x 45 in. 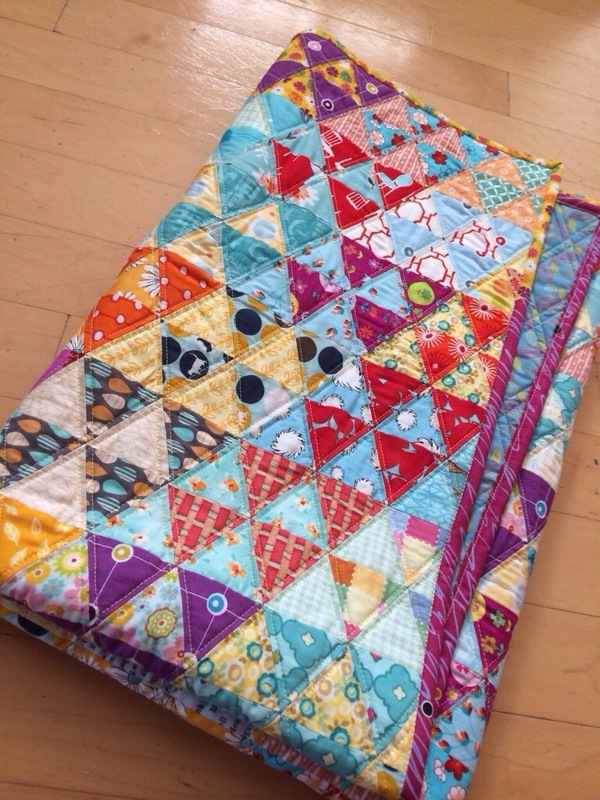 This entry was posted in 2014, finished, quilting on March 5, 2014 by flekka.